BY RUCHI AHUJA / BRAND IDENTITYSunday would not have been as eventful except for that one name which commands opinion from every Indian epiglottis worth a vibration…. Ramdev – The deliverer of masses and the wrath gatherer of everyone who doesn’t swear by his magic. He announced his plans to make Patanjali Jeans. Everyone gawked. Understandably. The blue of jeans and the glaring saffron the Baba adorns don’t make a pleasing combination. Pepe can’t tango with Patanjali. But hey, haven’t we stomached crossovers from (now) smaller brands than the enterprise that Patanjali is? Case in point – The good old Dettol’s venture into dishwashing. What doesn’t seem to go out the window is how most otherwise sensible folks get irked over the grand stretch that India’s biggest success story is displaying. I have been at a loss to figure what most of my friends hate – his popularity, his guts, the mass appeal or the cheapness of the products? To each his own; Patanjali is a must-do case study for anybody who needs to so much as even think business. Coming back to the jeans… why am I not surprised? I was when he announced the noodles. Until it became amply apparent to me – this is purely substitution model of business. How about a normalizing nutritional value of Desi Guavas to that of Washington Apples? With billion unwavering ears at your disposal, the Guavas are gone! I rest the case and want to witness the Great Indian Denim see some blue of the sky – Seething auburn would be awkward, even for the diehard followers, I guess. 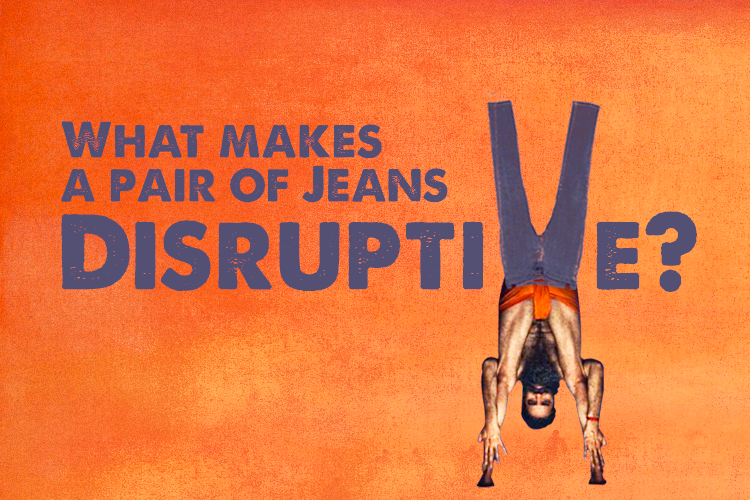 It would be so much more exciting to see if this creates a Colgate in the Denim industry! Disruptive that Saffron has been. Will I try one? Not until it matches my shade card.